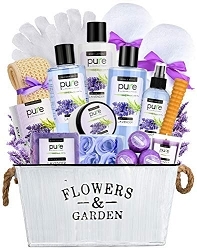 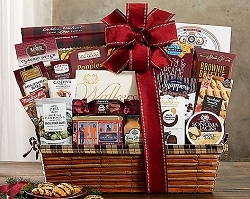 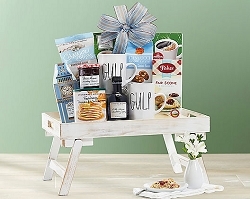 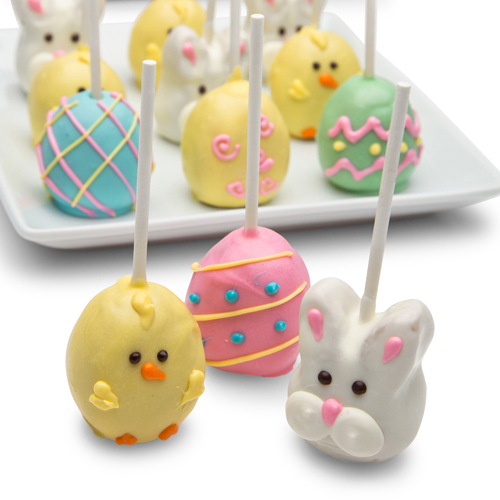 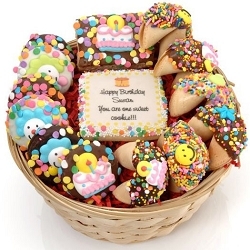 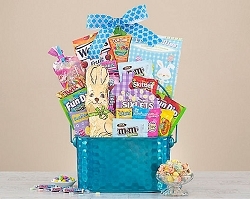 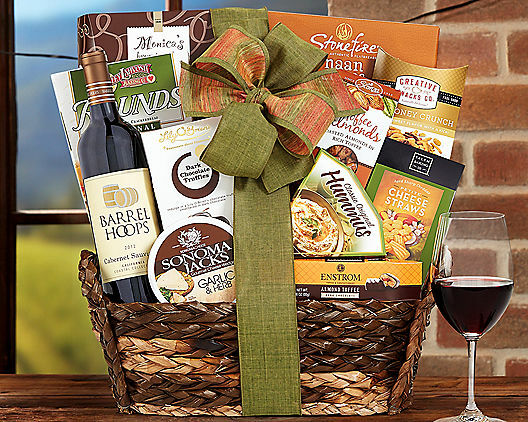 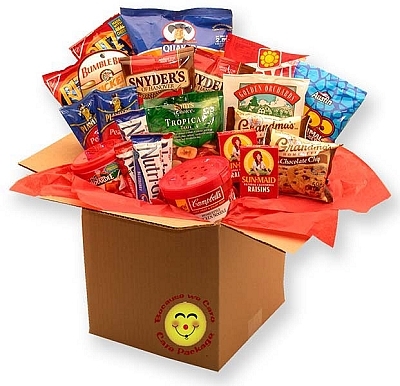 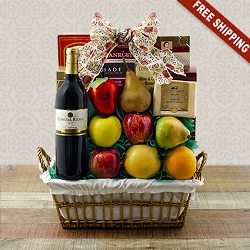 Send this gourmet gift arrangement to put a smile on anybody’s face! 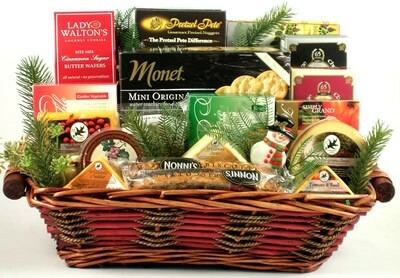 Overflowing with delicious gourmet, cheeses, Wisconsin Cheddar Cheese, Tomato & Basil Cheese, Wisconsin Swiss Cheese, Smoked Gouda Cheese, Cranberry Cheddar Cheese, Garden Vegetable Cheese Spread, Brie flavored Cheese Spread, Havarti Dill Cheese Spread, Merlot Cheddar Cheese Spread, Honey Mustard Pretzel Nuggets, Sweet n" Hot Mustard, Seasoned Almonds, Caviar Crackers, Monet Water Crackers, Focaccia Crisps, Tomato Basil Crackers, Cinnamon Sugar Butter Wafer Cookies, assorted Biscotti, and two Cheese Spreaders. 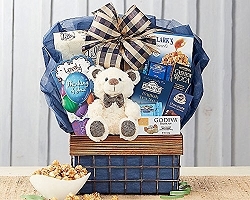 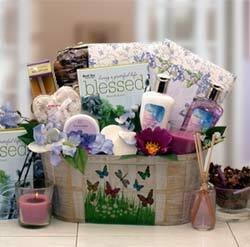 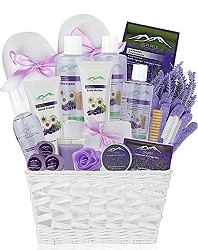 A distinctive gift for any occasion or Holiday!